Q: Is it easy to ride a Jet Ski, even for first timers like me? A: Yes, at Action Water Sportz Jet Ski Rentals, we provide you with a guide so you are never alone. We lease to countless “first-timers” every year varying from teens, to professional athletes, to senior citizens. Q: Is there a specific age to be able to lease/ drive a jet ski? A: South Carolina state regulations indicate that boat operators must be at least 16 years old with parental consent and must have an approved boating course by the SCDNR. At Action Water Sportz, we follow the same regulations and all operators must possess a valid identification. Q: What sort of Jet Skis do you lease? A: Here at Action Water Sportz, we rent high-powered Jet Skis that are able to carry three people. You can ride alone or you can let up to three people ride. We always have new equipment every year! Q: Do we need to use life vest? A: Yes, the law requires that every person riding a watercraft wear life vests. Action Water Sportz provides you with life vests at no additional costs. Q: How fast can your Jet Ski go? A: This may be the most asked question, but the speed of the Jet Ski is dependent on various conditions like the total weight of the person/s on board or if you are traveling. Q: Are jet skis steady, can they topple? A: Modern jet skis are really steady, you can base on one side without turning the jet ski over. Additional travelers might increase the threat of toppling or fall off, however eventually safe control rests with the motorist. A: At Action Water Sportz, we offer various water activities for you to enjoy. Our Jet Ski Rental rates start at $65 for half hour rentals. We also have 1hour rentals at $105 while our 2-hour rentals start at $190. For more information on rates, call 843-280-4100, phone open until 10 PM or email at info@actionwatersportz.com. Q: Exactly what is the very best time to lease? A: The earlier the better. Early mornings begin of sluggish and gradually get busier as the day goes on, with peak times early to late afternoon. Q: How do I count my time? A: At Action Water Sportz, we always remind our clients to come at least 30 minutes prior to their appointment to receive instructions. Your water adventure starts when you are headed out on the water. Q: How do I understand when my time is up? A: Our personnel continuously monitors our flight zone for security and will personally let you understand when your time is up and help in returning jet skis to the dock. A: Merely, since life takes place. Individuals run late, get stuck in traffic, alter their minds, or for whatever factor do not reveal. By declining appointments, we have the ability to keep more of our jet skis easily offered for getting here consumers. Our big fleet gets rid of the requirement for bookings and keeps any wait times to a minimum, if at all. 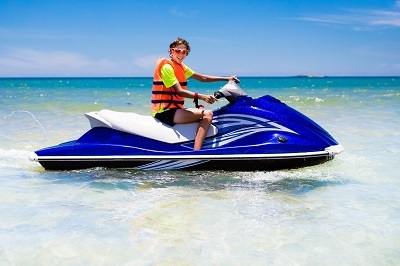 Nevertheless, jet skis can be prepaid personally, in our area, to ensure a later time and/or date. A: If you avail of the Jet Ski dolphin watch adventure, you can bring with you a waterproof camera. We will provide you with a bottle of water. If you want to bring a sunscreen, we have a small box where you can put your personal items. Q: Do you people rock? It is better to reserve your spot now before the peak season starts. You can call our hotline for our Jet Ski rental rates or book online!